I had a stranger in my delivery room. OK, not a complete stranger we had met a week earlier at Chick-Fil-A to go over the details and at least see each other before embarking on such an intimate photo shoot. I’m a private person, so letting anyone in, especially someone I’ve never met before, I don’t take lightly. I go to a different place when I have a baby, an out-of-body experience. I can’t tell you at the time who is in the room, what is going on around me or what a contraction feels like. I know I’m in pain (Josh reminds me of this since he watches it first hand), but I don’t remember the pain minutes later. Time passes and I can’t tell you how long I’ve been in labor, only that I am closer every minute to meeting my baby. I wanted to remember all the details. I wanted to remember the emotions both Josh and I went through. I wanted to have memories of the parts of Henry’s story that I couldn’t be present for. After having Lottie, the first thing I told Josh to do was to grab a camera and follow the doctor. Since I was stuck in the bed, I needed him to be my eyes and ears soaking up every minute so he could tell me all that I missed. When Lottie was born, I remember talking about the birth with Josh after and he described details, pretty big details, that I didn’t remember happening at all. It showed me how in my own world I was during labor. I document so much with photos and videos so that I can look back and remember, and on one of the biggest moments of my life I had no memory. I didn’t want the photos to share out on my blogs (although I will share a few of them), I wanted them for me. I wasn’t sure what having a photographer in the room would be like, I knew I would either not pay attention to her, or it could potentially drive me crazy. At our meeting I made it clear that if at some point during labor I needed her to leave I would be direct and ask her to step out. She understood and reassured me that she was there for me and to capture those moments I wanted. Katie has three kids of her own so she understands what a woman may be thinking during labor. She was invisible throughout the entire birth, despite being in the same room. 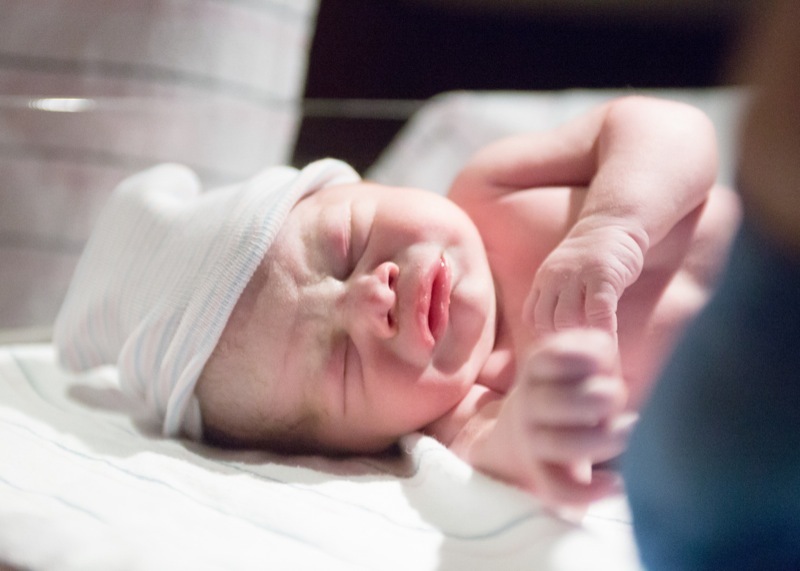 When I agreed to have Katie in my birthing room, I knew I would have pictures of the pain, but I mainly imagined the pictures of my new baby being placed in my arms and the cuddles that followed. I would breastfeed him and Josh would do skin to skin, all while Katie captured these sweet moments. I didn’t picture only having him in my arms for 10 minutes before they rolled him down the hall to his NICU room. 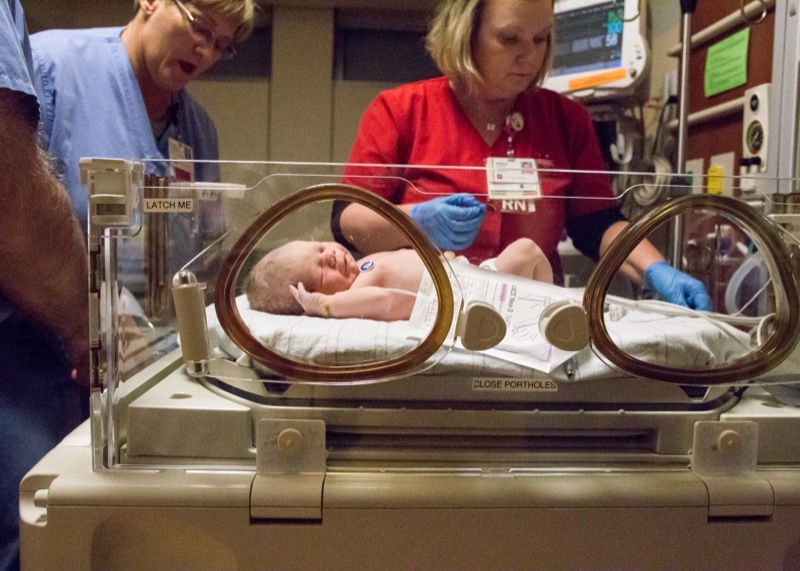 I knew it could happen, but when you dream about your birth you don’t picture the wires and tubes or 12 person NICU team joining you in your birthing room. 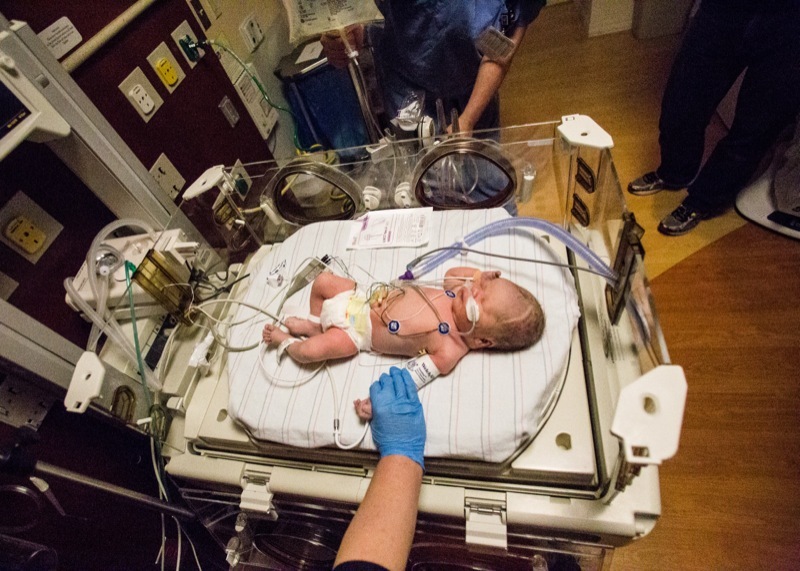 You never plan to be in the NICU. I was hesitant to take any photos of Henry while he was hooked up to the monitors and had a feeding tube. It made me sad and I was still wrapped up in the emotions of the last 24 hours. Josh quickly reminded me (thankfully) that this was all part of his birth story. You can’t plan what is going to happen during birth, but you can be ready to adapt and love on your baby no matter what. Now these photos mean so much to me, reminding me of Gods presence, the angels we met through the NICU nurses and Henry’s strength in recovering quickly. Going back through the photos brings back all the feels. The highs and the lows, which I’ll share about more when I finish typing up his birth story. Nonetheless, I’m glad I have all of them. I’ve never had the experience of a baby being placed on my chest right after birth, mine were both whisked away to the NICU team where I sat waiting to hear a cry and listening trying to figure out what was going on, but this time Josh didn’t have to grab a camera. Thanks to Katie, he was able to be in the moment with both me and Henry while she captured the details. Katie didn’t just take photos of my birth, she captured emotions. 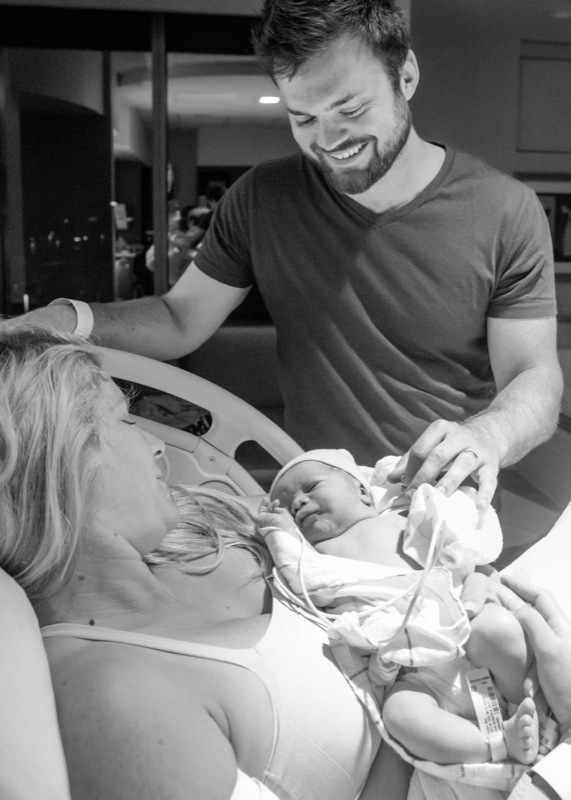 Every photo tells a story, and while at first I couldn’t imagine what it would be like to have a stranger in my room snapping photos, now I can’t imagine not having these photos to look back on and remember the joy (and the pain) of welcoming my baby boy into the world. 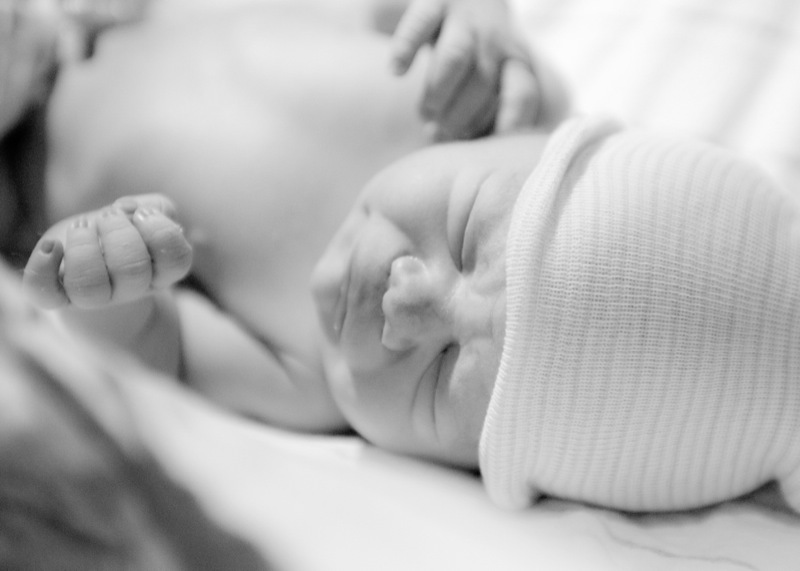 This is Henry’s birth story (and a sneak peek of a few of the photos from the day!). Check out Mulberry Street Photography and contact Katie Dotson if you are interested in having your next birth documented in the Indy area! Thanks for sharing! Hope to see you all the next time I’m in Indy! It was amazing to witness this miraculous moment in your family’s life! Thank you again for choosing me to capture this moment for you!! I look forward to watching your family grow and capturing more of your beautiful family!